My students work on the next dollar up method a lot. You probably know that one, basically you count out however many dollars you owe, and then add one for the change (or round up and count). I love the dollar over method as it makes tricky parts, such as change, so much easier! 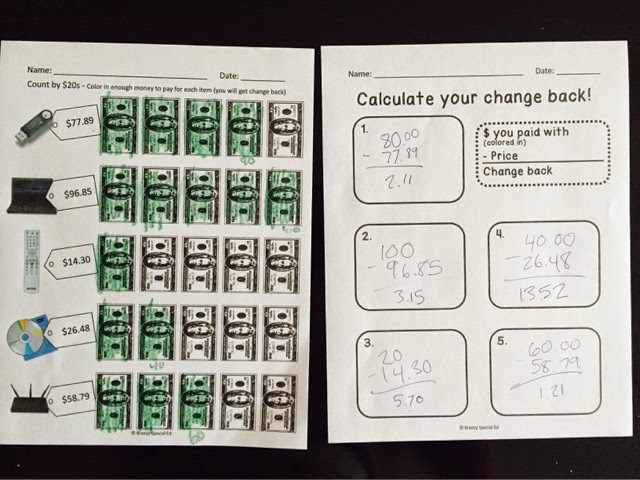 Have any of your students mastered the dollar over method and need a bit of a challenge? 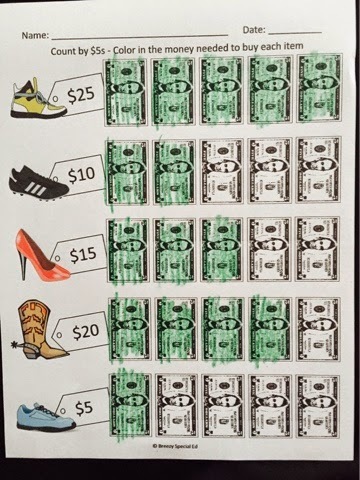 For my students who are ready, I started using the "dollar over method" to pay for more expensive items by counting with $5s, $10s, and $20s. So it's not really next dollar or dollar up anymore, but more like skip counting by $5s, $10s, or $20s in order to pay for your items. First, we practice counting exact amounts of money. For example, if the shoes costs $25 I would need five $5 bills to get to $25. 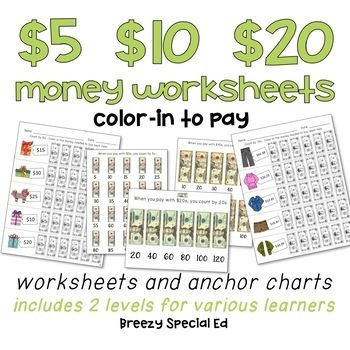 Students practice this with classroom money and through the color-in money worksheets. Once students are able to master the concept of counting to an exact price, I like to challenge them some more. Now, I might give them a price of $18 and they would have to pay with four $5 bills ($20) in order to cover the cost of that item. Tricky tricky! 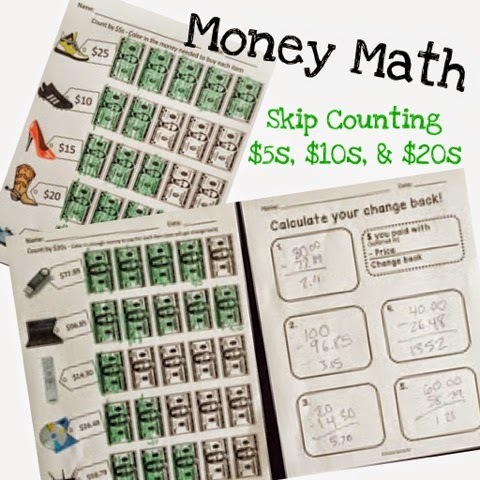 I have found that starting with $10 bills are the best way to introduce this skill, as it is easier to count by tens and a little easier to see how many more they would need. And to challenge my students a little bit more (you are starting to noticed that I like to continuously challenge my students, haven't you?! 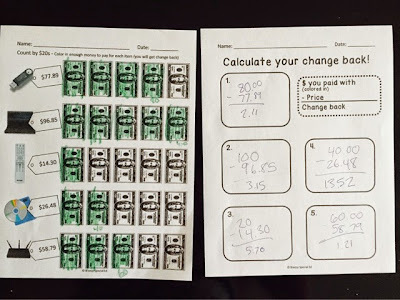 ), I have a worksheet that goes along with these ones that they can use in order to calculate their change back, since they are paying with an amount that is larger than their total. I think that I need to go back to school :) Thanks for sharing your lesson tips as my kids are homeschooled.